We would be happy to refill your prescription. Please call us at the pharmacy with your prescription number(s) and we'll start working on it right away. 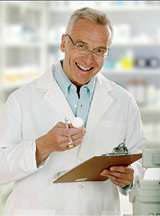 For a listing of all our pharmacies and their phone numbers, Click here.